The 27th High Criminal Court in Istanbul issued a red notice for fugitives Can Dündar and Ilhan Tanir on espionage charges, according to a judicial source on Tuesday. As both of the suspects – daily Cumhuriyet’s former editor-in-chief Dündar and Tanir --- failed to appear before the court, a public prosecutor requested the issuance of international red notice for the fugitives, said the source who asked not to be named due to restrictions on speaking to the media. Upon the request, the court ruled the issuance of red notice on the grounds that the statements of the defendants could not be taken and adjourned the hearing. In May 2016, the 14th High Criminal Court in Istanbul had convicted Dundar following the publication of images purporting to show arms being transported to Syria in trucks belonging to Turkey’s National Intelligence Organization, also known as the MIT. Dündar was arrested late November 2015 and held in prison until Feb. 26, 2016 when Turkey's Constitutional Court ruled that his rights had been violated and ordered his release. 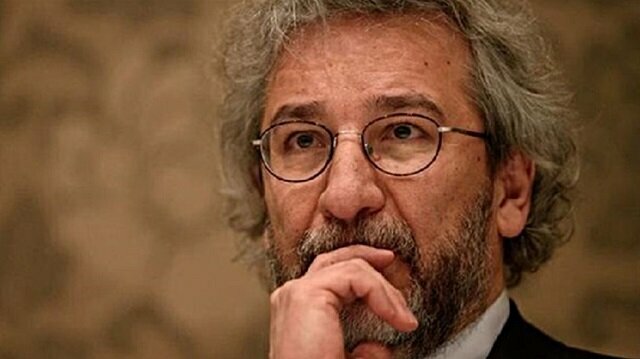 Turkey’s Supreme Court of Appeals ruled on March 9 that Dündar should be convicted and handed a sentence of 15 to 20 years in jail on charge of "espionage".